College students often become enclosed in a sort of "bubble" over the course of four years, wrapped up in their studies and social lives, preoccupied by extracurricular activities and on-campus events. Although this can lead to individual growth, unforgettable experiences, and admirable accomplishment, too often we forget about the greater community around us. 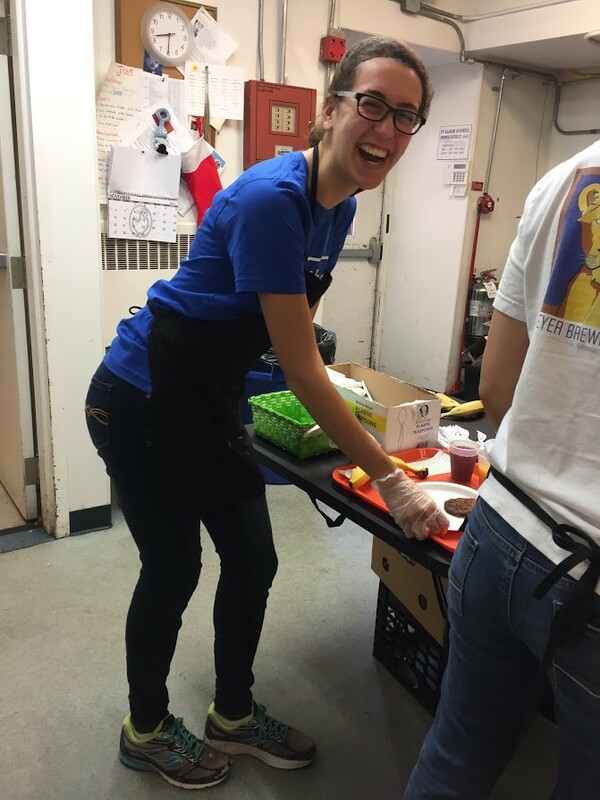 On Friday November 18, I volunteered at the New Haven Sunrise Cafe for Elks Scholar Service Days. A freshman at Yale University, I knew it was time to pop the "Yale Bubble" and give back to the small city of New Haven; my new home. Both myself and the homeless found a home Friday morning in the Sunrise Cafe. Although short-lived, by volunteering for those not fortunate enough to have a home, I found a sense of connection and community that, previously in my fall semester, had been missing. No matter what obligations we have, it is so important not to become so consumed by our individual lives that we forget to give back. Service makes us humble, genuine, and human. It is these core values that the Elks National Foundation represents, and I sincerely thank the organization for all the goodness they promote. Without them and their advocating for the Elks Scholar Service Days, who knows how long it would have taken to add a little service sunshine into my day? For more information about the Elks Scholar Service Days click here. In 2016-17, the Elks National Foundation appropriated $4.2 million to fund the ENF scholarship program, which provides college scholarships, ensuring a bright future for our nation’s youth. As important parts of the Elks family, Elks scholars have many social and service opportunities to connect with the Elks and each other. For more information about our scholarship programs, and for ways Lodges can get involved with Elks scholars, visit enf.elks.org/scholarships. I loved your article and it was very well written ! I really liked your statement - "Service makes us humble, genuine, and human." Your smile is the epitome of sunshine!